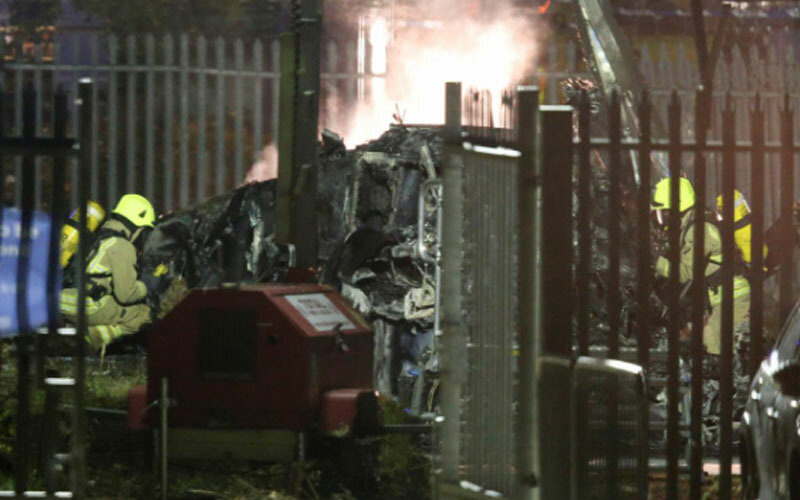 A helicopter belonging to Leicester City football club owner Vichai Srivaddhanaprabha crashed in a ball of flames in the club‌s car park on Saturday after a Premier League match, British media said. Vichai is a huge favorite with the fans after he bought the unfancied side from central England in 2010 and they went on to stun the soccer world by winning the league title in 2016. Leicestershire Police said a team from the Department for Transport‌s Air Accidents Investigations Branch had taken charge of the investigation into the cause of the crash. The duty-free business got a big boost in 2006 when it was granted an airport monopoly under the government of then prime minister Thaksin Shinawatra, and it continued to prosper even after Thaksin‌s ouster in a coup that year. The family‌s empire also includes Belgian football club, Oud-Heverlee Leuven.